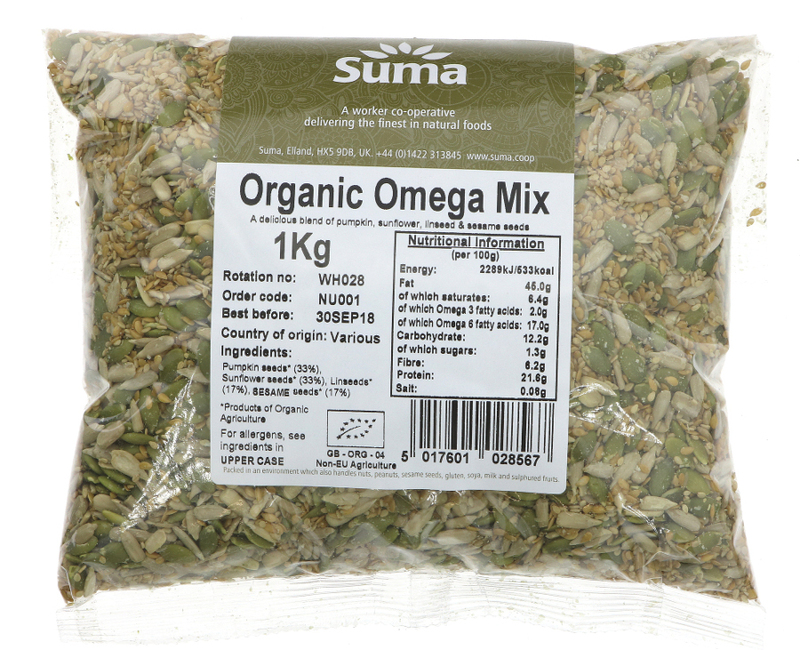 1 kg organic, vegan friendly Suma Prepacks Omega Seed Mix. This product is suitable for a gluten free diet and is perfect to add to your baking - cakes, bread, granola bars, smoothies, or a healthy snack. The Suma Organic Omega Seed Mix 1kg product ethics are indicated below. To learn more about these product ethics and to see related products, follow the links below. 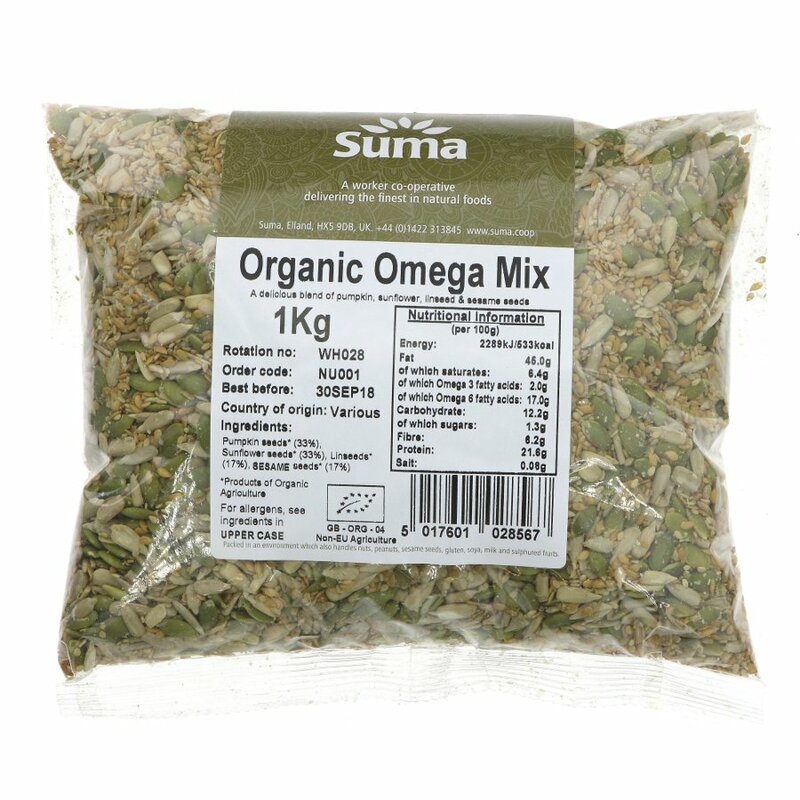 There are currently no questions to display about Suma Organic Omega Seed Mix 1kg.